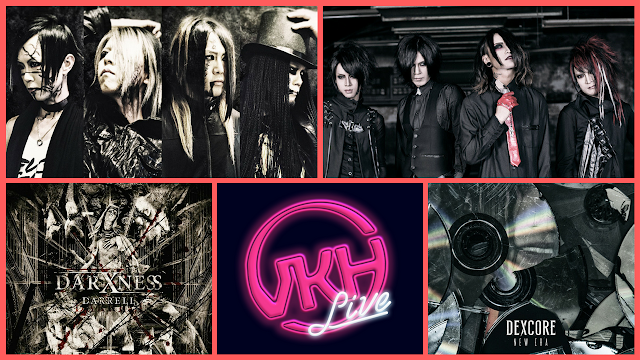 VKH Live - DEATHGAZE Revival: Catching up on DARRELL and DEXCORE | VKH Press – J-Rock & Visual Kei Coverage Worldwide! Editor's Note: This is one of many streams happening this weekend. Click here to see them all! With the release of DARRELL's first full album happening last month and DEXCORE's third single releasing the month before that, we figured it's high time we check in with the newest bands from the former members of DEATHGAZE! Join us tonight at 7:30 PM EST/4:30 PM PST as we talk about these bands' most recent releases, along with how they've progressed since they first formed. Click the video below to see when the stream will start in your time zone!